The birth of a baby is one of the greatest experiences in life. You and your family spend months anticipating what should be a joyous event. Unfortunately, happiness can quickly turn to tragedy when medical professionals fail to act with a reasonable standard of care. If your family is faced with a tragic birth injury, an experienced Fort Lauderdale birth injury attorney allows you to focus on caring for your infant instead of worrying about a legal proceeding. The lawyers at Yeboah Law Group, P.A. have spent more than 20 years advocating for injured patients. Let us put our knowledge to work for your family. Failure to properly diagnose. Women receive medical care throughout the pregnancy for the purpose of monitoring the health of both the mother and child. If the physician fails to properly diagnose a medical condition during this time, it can cause extensive injury and complications during pregnancy and delivery. Improper use of birth-assisting instruments. When physicians make the decision to employ birthing tools, they must use the proper amount of care. Vacuums and forceps commonly cause injury by placing excessive force on the infant’s head. Untimely birthing decisions. During the labor stage, the medical staff has a duty to closely monitor the health of the mother and baby in order to make timely decisions about the delivery process. Complications require quick decisions, and failure to act in a timely manner can lead to substantial injuries. Our Miami-Dade attorneys can help you determine the cause of the birth injury and then fight for your right to fair compensation. Brachial Plexus is a muscle-related injury, often occurring during the delivery process. It results from damage to nerves of the shoulder and/or arms. Infants born with this condition exhibit weakness and possible paralysis within the affected extremity. Shoulder Dystocia occurs when the infant’s head and shoulders become stuck behind the mother’s pelvic bone during the delivery process. While the mother may experience hemorrhaging or uterine rupture from this birthing complication, the infant may suffer a brachial plexus injury or a fracture to the collarbone. Improper birthing methods can cause injury to the infant’s brain. Tools, such as vacuum or birthing forceps, can place excessive pressure on the baby’s head, leading to brain-related injuries.  Brain injuries can also result from the lack of oxygen that the infant may experience during a prolonged labor process or other forms of labor and delivery negligence. The actions of the physician can negatively affect the mother, as well as the infant. Excessive bleeding or lack of proper diagnosis can lead to excessive maternal complications and even maternal death. When a mother or baby is harmed due to a doctor’s negligence during pregnancy, labor, or delivery, our lawyers are prepared to help. Birth injuries place extreme hardships on families. 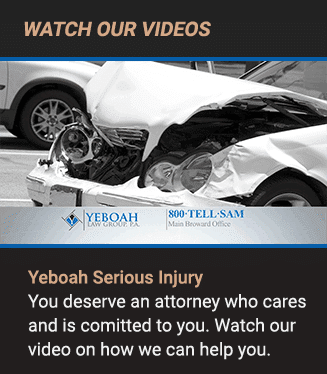 From the physical and financial necessities to the emotional challenges, Yeboah Law Group diligently works to secure the compensation your family deserves. Contact us today for empathetic yet aggressive representation. You can call us at 1-800-TELL-SAM or complete our contact form to schedule a free consultation.